July 30 2014 – The Intern ational Campaign for Human Rights in Iran has learned that the journalists Jason Rezaian and Yeganeh Salehi, who were detained in Tehran on July 22, 2014, are being held in an unknown location. Except for a phone call to their families the day after their detention, the two journalists have not been allowed any contact with the outside world. FIDH wishes to bring to your attention the cases of Mr. Rasoul Holoumi, aged 22, and Ms. Razieh Ebrahimi, aged 21, both sentenced to death in 2010 for crimes committed when they were minors. These two young people are at risk of imminent execution, in contradiction with international law and human rights principles. 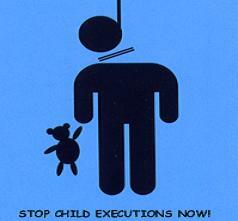 07-15-2014 – RTT News – Prominent rights group Amnesty International on Tuesday urged Iran to halt the execution of a young man who was a child at the time of his alleged crime. The rights group stressed that Iranian authorities must act to reverse a disturbing rise in the execution of juvenile offenders, noting that at least eight individuals being put to death in the first half of 2014 for crimes allegedly committed when they were below the age of 18. 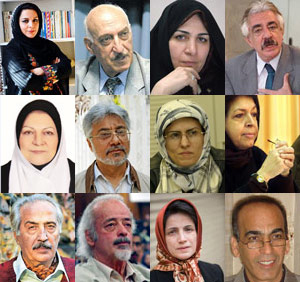 July 16, 2014 – In a study released by the International Campaign for Human Rights in Iran today, Voices from Iran: Strong Support for the Nuclear Negotiations, prominent members of Iranian civil society expressed their strong support for the P5+1 nuclear negotiations between Iran and the world powers. Monday 14 July 2014 – theguardian – IRNA news agency says 48-year-old, who was taken to hospital after going on hunger strike, is deemed too ill to return to jail. Iranian dissident Mehdi Khazali, who was serving a six-year prison sentence for acts against national security and spreading propaganda against the regime, has been freed on health grounds. 11. July 2014 – The ITF (International Transport Workers’ Federation) has demanded the release of Reza Shahabi, the imprisoned Iranian trade unionist and prisoner of conscience. 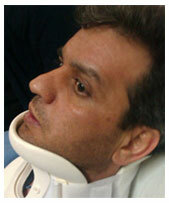 Shahabi, who is the treasurer of the ITF member union the Syndicate of Workers of Tehran and Suburbs Bus Company (otherwise known as the Vahed union), was unjustly arrested in 2010 and is now on a hunger strike. July 8, 2014—The United States should reinstate sanctions on Iran’s state TV and radio broadcasting agency, the Islamic Republic of Iran Broadcasting (IRIB), for the continuation of its widespread human rights violations, the International Campaign for Human Rights in Iran said today. The US Treasury had issued a six-month waiver of IRIB sanctions in February 2014, which expires in August. 2014-07-03- The Observatory for the Protection of Human Rights Defenders, a joint programme of the International Federation for Human Rights (FIDH) and the World Organisation Against Torture (OMCT), has received new information and requests your urgent intervention in the following situation in the Iran.